Ladder packages can have great value, especially when it comes to ladder work on apartments. Our outside truck team (Ladders team) consists of the driver and the firefighter who rides behind him. 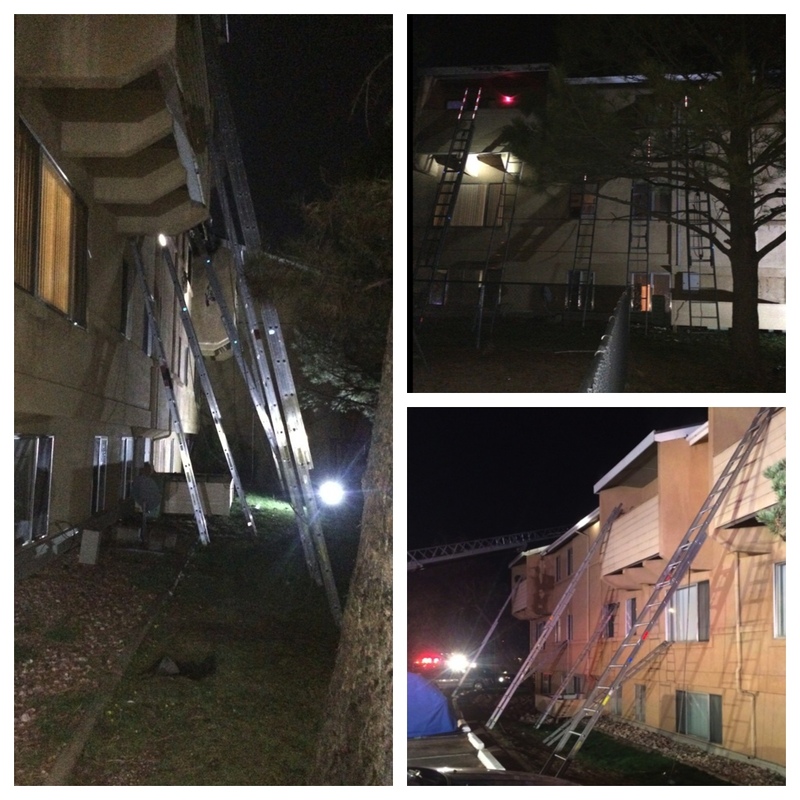 One of our primary jobs on an apartment fire is to get to the backside opposite of all the other fire units and perform ladder work or VES. Many times this is away from your truck and time is not on your side. The photo is one example where ladder packages can apply. This is what we call a 3 story garden level apartment, I know this term varies across the country but we are referring to the bottom floor being slightly below grade. This is the most common apartment style that we burn in around our district. When these have good fires in them you can count on people being at these windows because of the common egress being cut off. We have a pretty standard rule of thumb for ladder choices on 3 story garden levels. 14 footers for the 2nd floor, and 20s and 24s for the 3rd floor. The two person outside truck team can accomplish the four most threatened units with only one trip from the truck, this includes your tools. In the picture you can see the firefighter carrying the 24′,14′, hook and halligan, while the driver follows up with the 20′, 14′ and another hook. With proper training and practice this can be a very straight forward evolution you can implement as an option. It takes some understanding in the brand and type of ladders you carry along with choosing from the multiple ways to do the carries with low suitcase carries or low shoulder carries. Give it a try for your compliment of ladders and staffing. 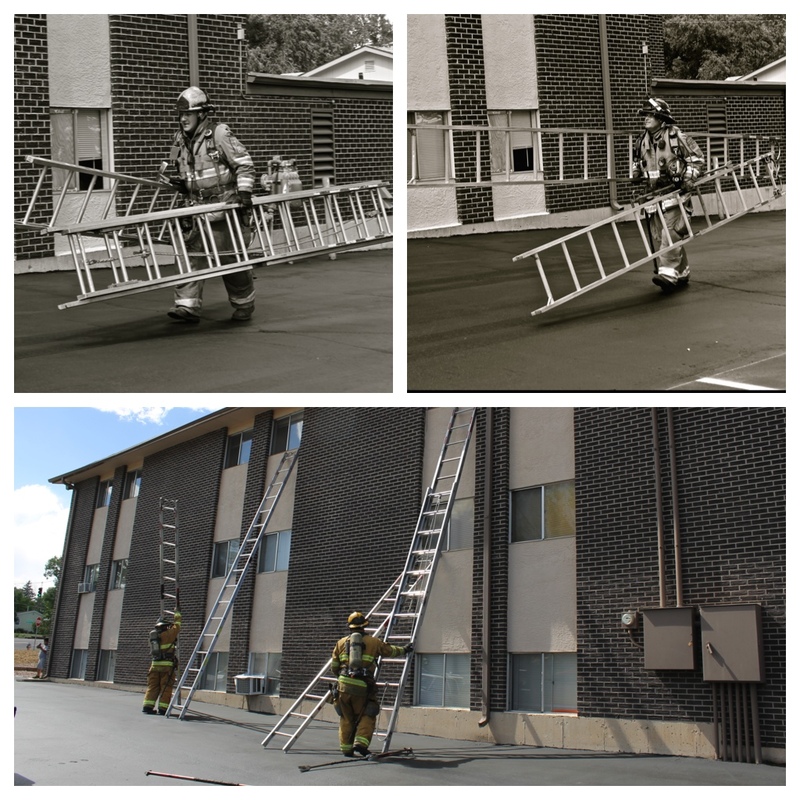 It will become second nature with some practice and you will find different ladder packages can apply to a variety of different buildings and fires. Fire by Trade LLC got me thinking the other day with his post about ground ladder rescues across the nation so far this year. 119. Think about how many are not documented, probably many many times that number. Ladder work is a culture and a mindset, that’s it. If you don’t have that culture in your department, you can do one of two things. 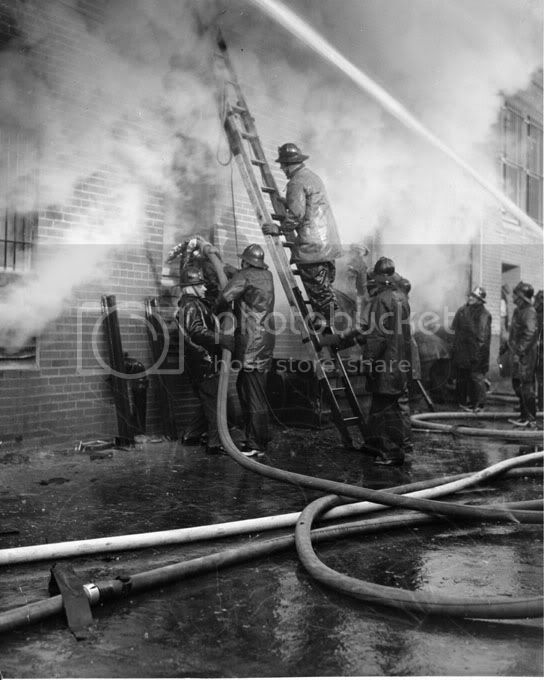 You can keep telling people that you have just never really done it that way, or you can develop a culture of aggressive ground ladder work one fire at a time. My department has removed 17 people from windows at working apartment fires in the last 2 months. I am proud of the ground ladder work that goes on and the culture that has slowly built around it. It is better for the citizens and it is better for us. I came across these photos below that someone took after a recent top floor apartment fire. This is the handy work of multiple truck companies doing there job on the backside of a hard to access fire building. No excuses, just lots of ladders placed quickly for rescue and the interior crews working their way down this center hallway. It is a thing of beauty…Bang Up Job!!! Richard Nippleton on I Am Exhausted..
IRONSandLADDERS on I Am Exhausted..
Ralph Gaily (ret'd t… on I Am Exhausted..
Dave Harris on I Am Exhausted..
Max on I Am Exhausted..
Chris Truxler on I Am Exhausted..